Our 2nd generation laser guide is the easiest and best way to turn your saw into a precision cutting machine. 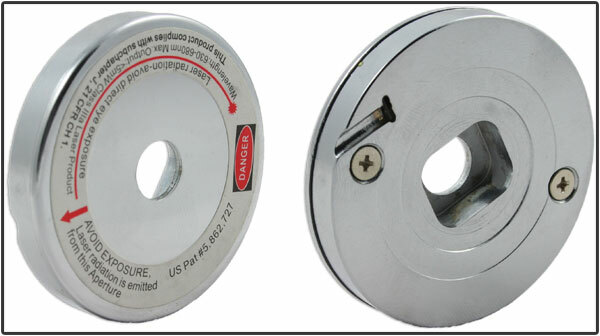 Installation is fast and easy, simply replace the outer blade flange with the laser guide unit. There are no confusing parts or adjustments. 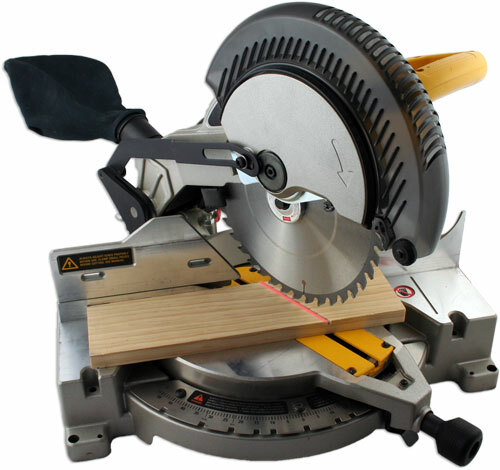 The new design provides a brighter, more accurate line on the left of the saw blade kerf and improves safety by showing you where the blade will cut well before reaching the material. The centrifugal switch activates the laser automatically. Notes: Will not fit some 12" saw models that have interlocking arbor flanges, including Ridgid and ProTech or Hitachi 12" Machines. 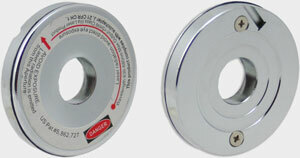 If your saw has a 5/8" threaded arbor shaft and uses a nut to secure the blade, use model #LG-R01. Item # LG-M01 Installation Note: The arbor recess on the laser guide is made to fit many machines and may have some amount of play when mounted. To address the universal arbor recess, when installing the laser guide, once it is placed on the arbor you can rotate it slightly which will allow the laser guide to self-center on the end of the arbor shaft prior to tightening down. 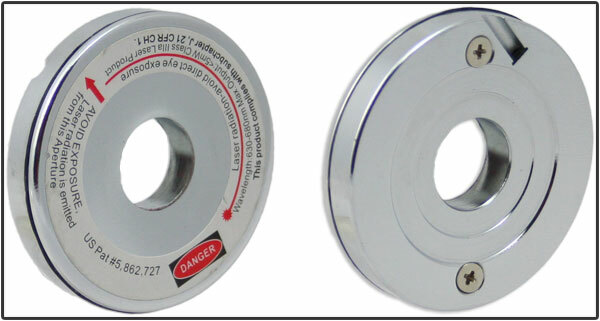 In some cases such as 12" machines and those with metric arbor sizes, the blade adapter or inside arbor flange washer can protrude past the blade body preventing the laser guide from tightening down fully on the blade. Often this compatibility issue can be overcome by utilizing a full kerf blade, or if needed, a thinner blade adapter on your machine. Warning: Read and follow all instructions that came with your saw. Never look directly into the laser beam. 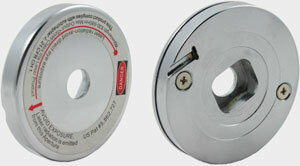 Do not use if the laser guide does not secure the blade properly.